The sun that rises in the morning and sets in the evening activates our earth, bringing energy to every living thing. Our power comes indirectly through processes like photosynthesis. 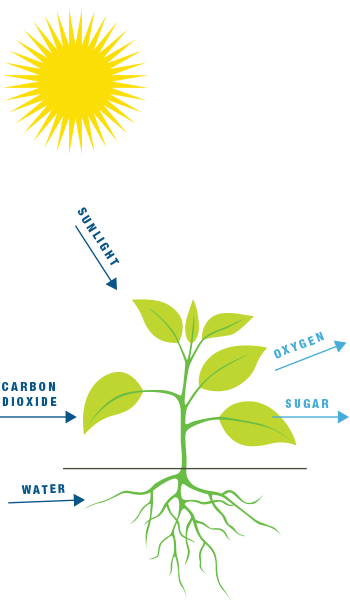 Photosynthesis is a process in plants and other organisms that convert light energy into chemical energy. This chemical energy is made up of carbon dioxide and water. It offers nutrition to plants. Plants, in turn, transform the carbon dioxide and water into oxygen and glucose. People through many centuries respected the sun as a powerful deliverer. Today, can the power of the sun, along with the wind, water, and heat from the earth are sources of power. There are renewable and nonrenewable energy sources. Renewable sources replenish, and non-renewable energy sources do not regenerate. Petroleum, natural gas, coal, and nuclear electricity are nonrenewable sources in one life or many lives. Renewable sources of energy include hydropower, biofuels, wood, wind, and solar. The majority of energy produced and used today comes from nonrenewable resources. Renewable resources currently power a small percentage of energy in the United States. Architecture 2030, founded by Edward Mazda, works to increase solar, wind, hydropower, and other renewable sources to power the energy needs. Hydropower or power from the flow and force of water movement is currently the largest renewable source of electricity in the United States. Natural systems that provide sources for energy production lead to power diversification, new jobs, energy savings, and reduced greenhouse gas emissions or gentler human impact on the earth. The sun shining on our planet delivers radiant heat. One hour of radiant heat from the sunshine answers global energy needs for one year if collected! We capture radiant heat with solar power and solar thermal panels. These panels mounted on the roofs of our buildings or covering fields of parking lots can heat our water and generate power. Solar thermal heats water more efficiently and less expensively than other forms of energy production. 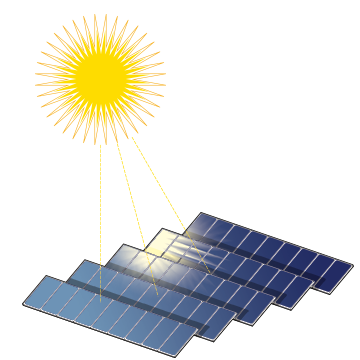 Solar cells collect and generate electricity. Solar energy is a point source production so does not require transportation. It can fuel our buildings and our cities. Germany is currently leading the world in point source solar collection. The solar industry is growing! Check out NEXT.cc’s Solar Energy Journey and draw a diagram of the flow of energy from the sun as it travels through a solar panel to a transformer to an electrical plant. Fields of wind turbines are popping up across the country producing some of the cheapest renewable energy. Engineers find the paths of the most consistent and strongest winds by researching wind maps place wind fields. Look at the current wind movement on the earth. As a citizen scientist, imagine where wind fields could exist. Wind energy is growing by almost 25% a year across the world with Germany leading the way. Look at NEXT.cc’s Wind Power Journey to see how a wind turbine works. Make a map of existing and proposed wind power lines in the US Power Grid. Renewable energy exists underground, just beneath our feet! Have you ever noticed how cool a basement is in the summer and how warm it is in the winter? 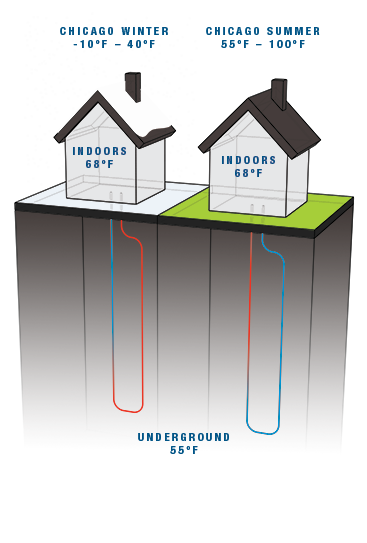 Geothermal energy draws warmth when it is cold and coolness when it is hot from the constant temperature of the earth itself. Did you know that below the earth’s crust, the average temperature year round is 45-75˚F? Digging deeper, geothermal draws from the temperature of hot water beneath the surface and, even lower, from the steam of molten rock. Iceland produces 25% of its electricity using geothermal. Make a thermal diagram of an office building circulating water underground for heating. Energy exists in the beautiful and powerful movement of water. Harnessing the power of water is one of the oldest ways of producing mechanical and electrical energy. Before steam power and electricity, grain and lumber mills mechanically turned using forceful river currents. Today, hydrological engineering captures tidal movement and wave energies in the oceans and rivers, fueling power plants located on or near sources of water. Hydropower depends on the water cycle, the amount of precipitation, seasonal temperature differentiation, and drought or flooding. The volume and change in elevation (or fall) determine the amount of available energy in moving water. Swiftly flowing rivers like the Columbia River in Washington and the Niagara Falls in New York offer rapid water flow. In rivers, the river current turns the turbine. 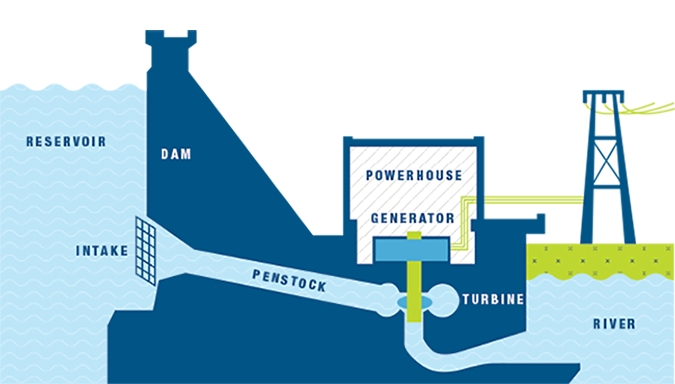 In a water storage system, water accumulates in reservoirs created by dams and is released to generate electricity. More than fifty percent of hydropower in the United States is in Washington, Oregon, and California. In 2015, hydropower accounted for about 6% of total electricity generation and 46% of electricity generation from all renewable sources in the United States. Draw a diagram of the working parts of a hydrological dam. Biomass energy is stored energy from the sun retrieved from the decay of living organisms. Biomass converts to methane gas or ethanol and biodiesel fuels. When directly burned, chemical energy releases heat. For example, wood and wood waste heat buildings when burned in chimneys and stoves. Drawing off gases from decaying algae blooms, grass cuttings, and even forest residue, stored energy is released through the process of decay. Landfills full of crops and waste materials generate electricity when burned, which converts to biogas. Methane gas is a derivative of landfill gas. Biogas discharges when garbage and other waste decomposes in digesters. Sugar and corn crops ferment and produce ethanol fuel for cars. 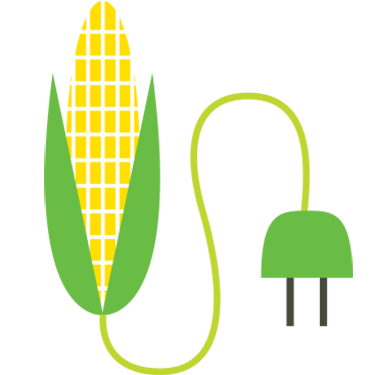 Animal fats and vegetable oils ferment and produce biodiesel fuels. Brazil powers 21% of its industrial sector with biomass energy. Currently, biomass fuels about 5% of United States energy production with 43% from wood biomass, 46% from biofuels, and about 11% from landfills. Draw a pie chart of the percentages of bio fuel production. Video TEDed Can Renewable Energy Power the World?